One of my favourite apps on the iPhone and iPad is Pulse News Reader, an app which was previously a paid app, and a great way to read RSS feeds on your iPhone or iPad. Good News as Alphonso Labs, the developers behind the Pulse News Reader app have now released a free version for iOS devices and also Android devices. Today we’re announcing that Pulse is free across all platforms! We would like to thank our early users, who have given us both time and money to help build the product to this stage. You have given us the resources to build a company dedicated to improving your news reading experience. We’re now a team of 8 people working very hard to make Pulse better everyday. 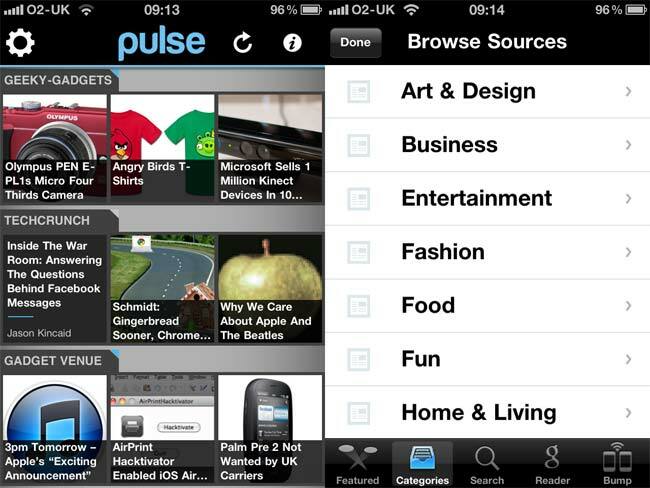 You can download the Pulse News reader for free from the iTunes App store and the Google Android Market.